The first summer of my thirties was filled with movement and hustle. Nick and I are working hard for our dreams right now, and this summer proved to be a breeding ground for quick transitions: selling our house in Seattle, almost moving back to Seattle, deciding to stay in Tahoe, quitting our jobs, then the next thing you know we're both starting businesses. Last week we launched our creative agency GEOGRAPHY CREATIVE out of a lovely office space here in Truckee, adjacent to the warehouse where Nick's coffee roastery DRINK COFFEE DO STUFF launches in a few weeks. We are so excited!!! Despite the craziness this summer, Nick and I somehow made time to explore quite a bit of the mountains we call home. Here are some photos from the more memorable adventures we shared. What would you add to this list? One of the first camping trips of the year, Loch Leven still remains one of my favorite memories of the entire summer. It's a relatively easy hike: around 7 miles roundtrip. The trailhead is located on Old 40 at the Big Bend exit off I-80. 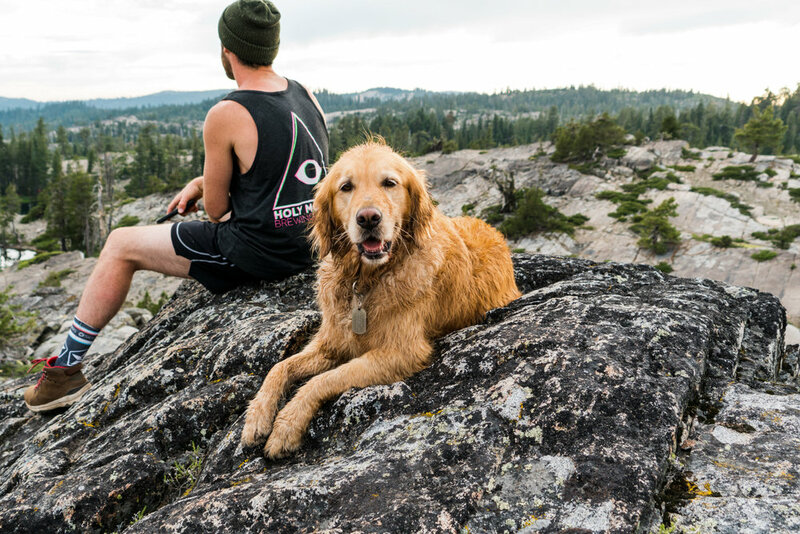 This is a moderate trail: perfect for anyone looking for exercise and access to several gorgeous lakes. We camped at the second lake, which we thought was the prettiest of all the lakes along the trail. The water was warm enough to swim in, and both the sunset and sunrise were spectacular! 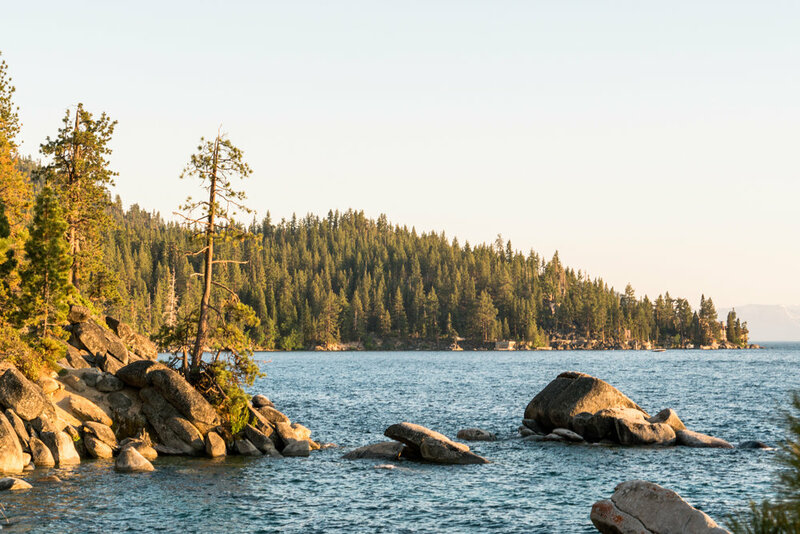 Approach Bonsai Rock — easily accessible off Highway 28 near Marlette Lake — anytime near sunset and you're sure to run into a crop of eager photographers, tripods at the ready. 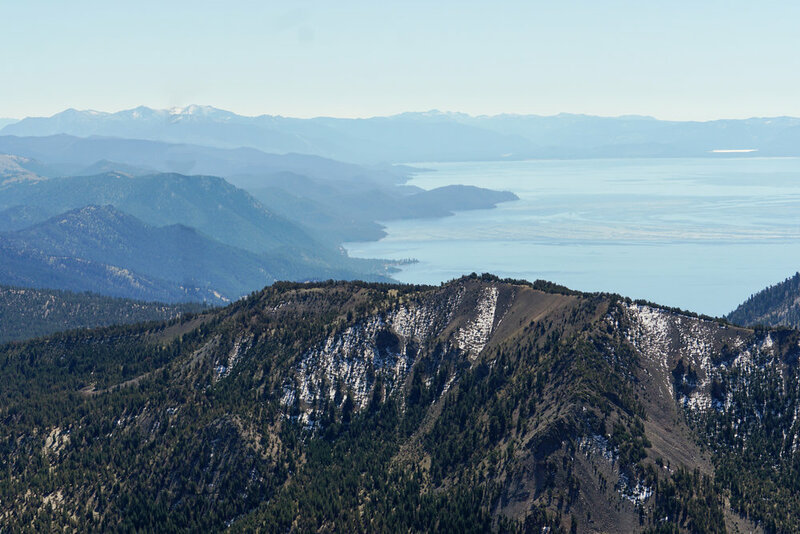 Camera or no camera, Bonsai is a great spot to kill a couple hours with friends and enjoy gorgeous views of Tahoe. It's smaller than you think, and there are a surprising amount of other equally-gorgeous rocks nearby to jump off of. 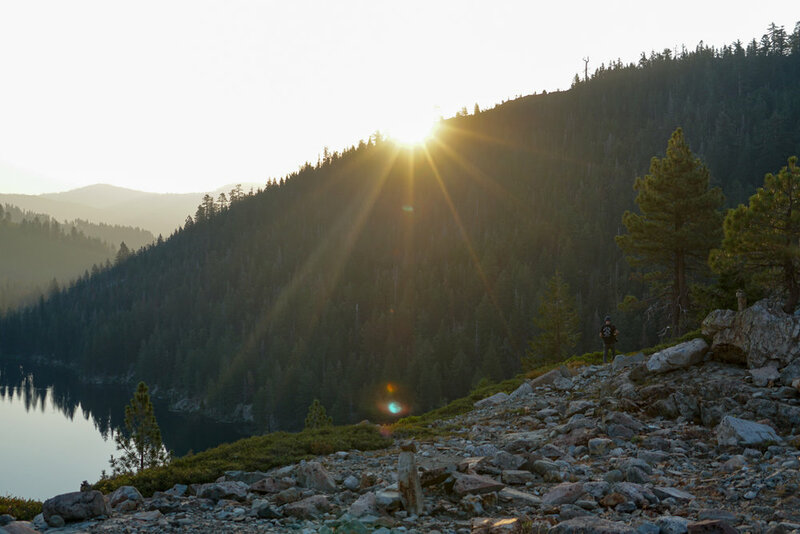 What might literally be the perfect overnight camp spot, Upper Sardine Lake in the Sierra Buttes (an hour from Tahoe) will not disappoint. 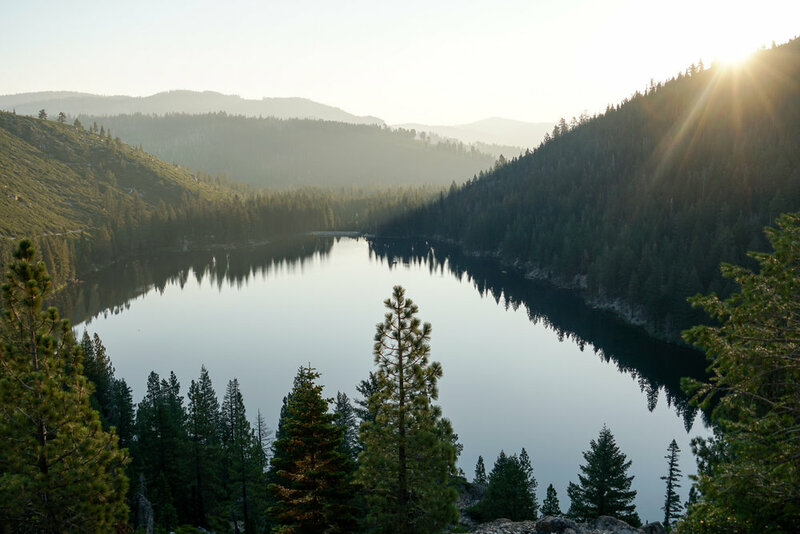 When you drive into the area, you'll first see Lower Sardine Lake, but I recommend four-wheeling up a quarter mile to Upper Sardine Lake, where you'll camp nestled against the water's edge and the woods. We brought our kayaks for some midnight paddling, and it didn't disappoint. Be warned: our Jeep almost didn't make the steep climb up the narrow road — if you don't have the clearance, park at the bottom and hike up. This hike gets a bit of a bad rap as it's pretty exposed (read: windy AF) at the top, but Nick and I ended up LOVING our 10.6 mile out-and-back climb up to Mt. Rose's summit, the tallest peak in North Tahoe at 10,776'. There's something about high desert I am in love with. With epic views of many lakes in the region and a sturdy 2,300' elevation gain, this is a hike I'll surely do again. Not up for the whole trek? Make the waterfall your goal, about halfway up the trail. P.S. 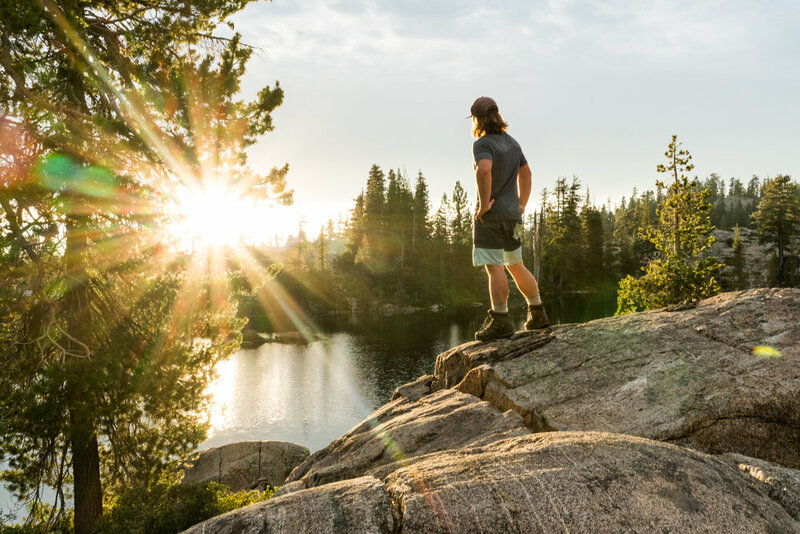 Looking for the perfect day hiking shoes? Nick and I love our Teva Arrowoods!